WARNING: Due to the intense nature of the event, this Camporee is primarily intended for 11 to 20 year old Scouts and Venturers. Infected or Survivor - which will you be, and who will come out alive? Pacific Harbors Council, Boy Scouts of America. The zombies are headed for the last safe haven in the Northwest: Camp Thunderbird! Will you make it to the safety of camp before the infection gets YOU? 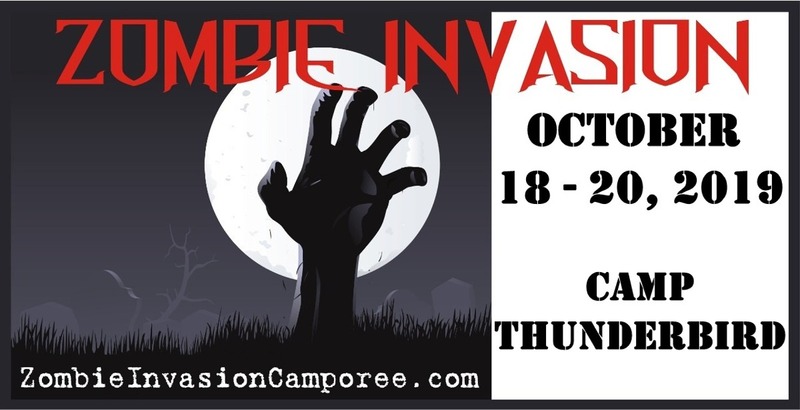 Join the Zombie Invasion defense force, and learn the skills needed to fend off the approaching Zombie hoards... this Camporee style event is guaranteed to be the most exciting thing you will have done in a long while! They managed to defeat the zombies at Camp Hahobas back in 2010, will YOU be able to do the same in 2019? 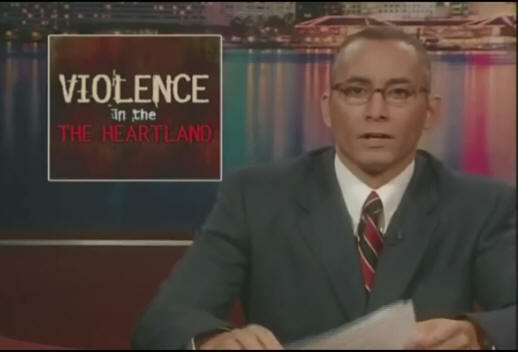 Join our Email List, and receive important updates about Zombie Invasion, and get insider information about the event. 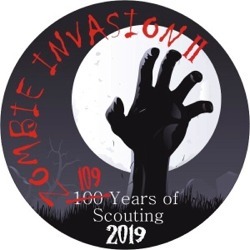 The first 500 Scouts to register get a limited edition Zombie Invasion event patch, so don't miss out, sign up now! Event Staff Needed - If you want to serve on the Camporee event staff, please fill out the Contact Form. Venturers and Scouts BSA Girl Troops are welcome too!